I am drawn to the illusory, parallel world of Google Maps. The system continues to reshape the way we navigate and experience the world, for better or worse. My work arises out of a desire to uncover experience, an impulse to locate, arrange and create a dialogue that reflects our connection to each other through place. I record and plot the movement of bodies and consciousness through time and space to represent our layered, living landscape. Kelley O’Leary was born and raised in Massachusetts. She pursued studies in Art and Anthropology and received her BA from University of California, Santa Cruz in 2011. Her collage practice is unified by an overarching interest in architectural space as it relates to human experience and connection. 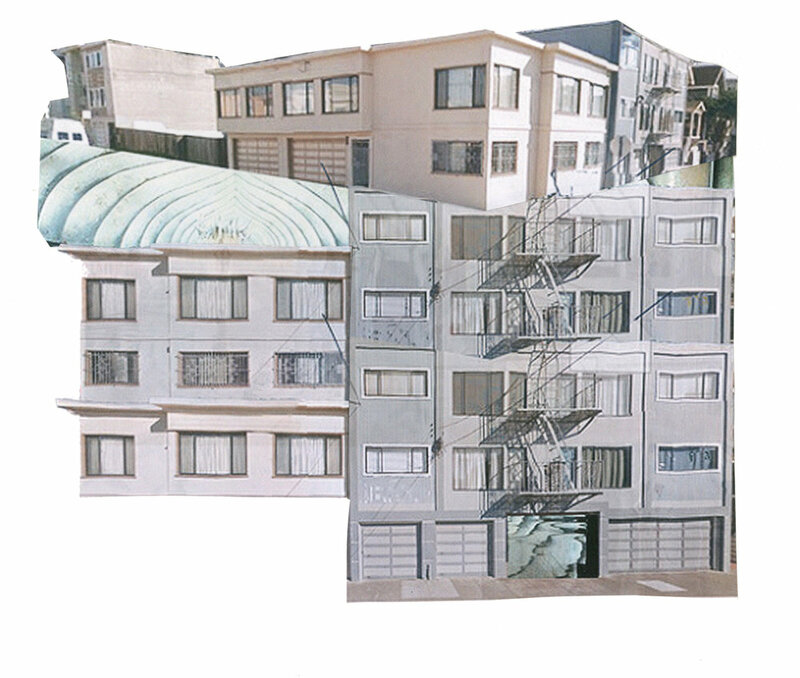 Primarily sourced from Google Street View images of San Francisco, her recent work explores questions of public/private space and our changing relationship to physical space due to emerging digital environments. O'Leary lives and works in San Francisco.